Kickside Martial Arts will teach your child invaluable life skills such as: confidence, integrity, self-control, and respect for others. 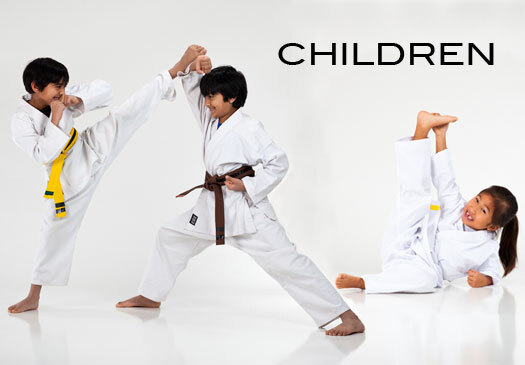 Your child will have fun while learning an exciting martial art. The use of positive correction and an exciting reward system makes the Kickside Children's Program the best available after school activity for your child! Goals/Rank Progression: Macro, micro, and achievable goals. Your child will learn life skills by setting a long-term goal, be rewarded by achieving short-term goals, and gain a sense of growth through attaining everyday goals. Traditional Training: Go back to the original way of Korean training. Includes hard-style self-defense patterns, deep stances, full-power kicks, full-power punches, and the mental challenge that will increase your child's ability to learn at a faster pace! Sparring Training: Promoting non violence in our kids. This is the challenge of using Martial Art skills against a live opponent, in a controlled and safe environment. Sparring allows your child to increase reflexes, speed, and gain confidence in a confrontation. Modern Training: The most realistic fighting style. Kickside incorporates up-to-date martial art innovations to keep our style on the cutting edge. Self-Defense: Protect your child from being bullied! Kickside uses concept builders and partner drills to help you master the ability to escape or control any situation. Target Drills: Respect for others! By working with partners and targets, your child will learn the most effective and powerful way to execute a technique. He or she will also learn what it takes to work with a partner at achieving a goal. Stretching: Increase your child's range of motion. Stretching is done at Kickside during each class. It will help to protect your child's body from everyday injury. Fun Drills: Applying martial arts to a game. Kickside offers your child the occasional break from routine practices by playing games that are sure to put a smile on your child's face. Children classes are offered 6 days A week.